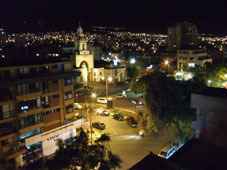 We arrived in Sucre last Friday after a very long and bumpy Bolivian bus journey through the Andes. 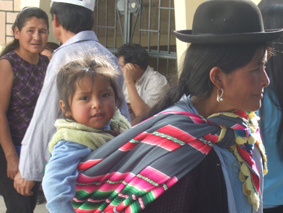 We had travelled through Potosi which is at 14000 ft, the highest city in the world. (bad headaches from altitude). We are now enjoying the hospitality of Phil and Jan Train. Dean had known them for over 8 years since his previous STEP drama teams. They are going to be our mentors here in Sucre. 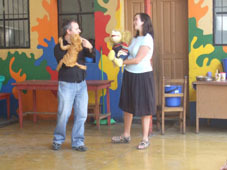 Phil was the pastor of the church we will be working alongside and Jan has been co-ordinating the children’s ministry. They are very experienced and lovely people. We have been looking for somewhere to live and have visited a few places – we’ll keep you posted! We spoke at the front of church last week – the first BIG test of our Spanish. We are excited about some of the projects we will be involved with… discipleship and mentoring students, Saturday night event, running camps, children’s work, … and even horseback riding evangelisim/drama outreach to the remotest areas, …. There is also the possibility of leading a small team of students to Paraguay in August. Will put some new photos on as soon as we get the chance. We have had an amazing time here in Cochabamba and now it is time to move on to our project in Sucre. The past two weeks have been very busy with language study (we upped the level to seven hours per day!) and we have also been visiting many children’s projects in the city. One of the best moments was spending the morning with Juana (someone I met ten years ago on one of my drama teams). We went to the prison school and met with the kids, played parachute games, did a puppet show and performed drama. We are looking forward to meeting the students in Sucre and beginning our ministry…not looking forward to the 12 hour bolivian bus journey through the mountains at 13,000 ft. A bit scary but a great adventure! 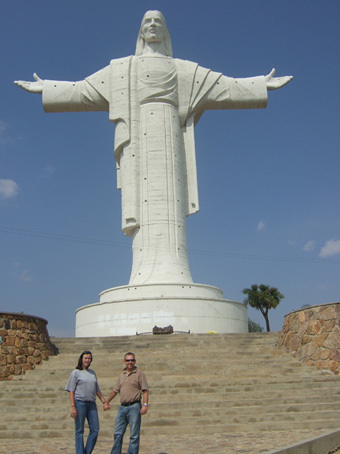 Pictures show; Cochabamba at night, puppets at the prison school and devotional at the metal workshop with Gray Parker.